As usual, you all's main man James Nichols brings you the best in little-girl showcases from the Bowie city gym. 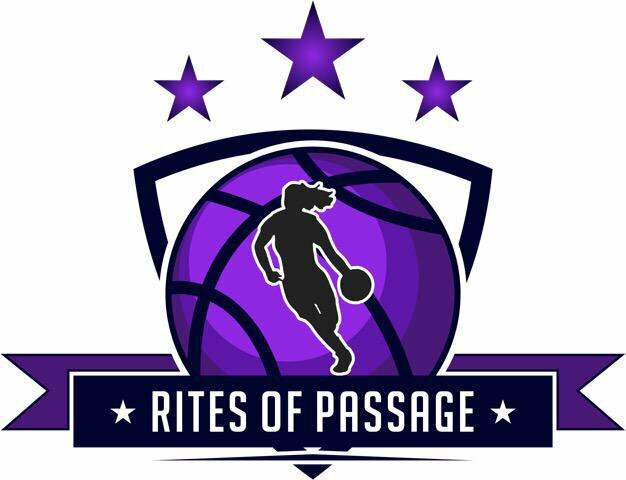 This past Saturday, August 4, 2018 about 65 girls from the 6th through 8th grades showed out at Lisa Bodine's Rites of Passage Showcase. attended by a stellar list of DMV, Pennsylvania, New Jersey, and New York club and school coaches, as well as an illustrious crew of the nation's top evaluators-Bret McCormick, Mike Flynn, Mark Lewis, Kevin Lynch, Joe Costa, Tink Butler, John Lucas's Laquita Thompson from Houston, the one-and-only Prentiss Beverly, big-time Al Schell, Saladin Reese, and an entire rack of Blue Star evaluators. Notable by his absence was the inimitable Marcellus "Boo" Williams and his "trusty" sidekick Shawn. The showcase featured midget guard and real-size posts who usually stand out at these events, but this time the top players were wing players of varying heights who showcased versatility. 7 of my top 10 players were wings ranging from 6-0 to 6-3 in height, playing proficiently from point-guard to center! Of course, the mystery man the IH was in the building evaluating the players. My top 5 players were wings (otherwise known as small-forwards), as well as my 10th-best player. By far, my top player of the showcase was 6-0 2023 Judea Watkins from California. She played all five positions (and a mean point-guard). She showed IQ, poise, real handle, shiftiness, a mid-range jump shot,a thee-point shot, got to the basket in traffic and finished, rebounded, and most importantly defended. Made several reverse layups. Was also an unselfish passer. Should end up as a high-school All-American, attending the college of her choice playing the 1, 2, or 3. And don't forget USA Basketball. My number 2 player was 6-3 2022 Ayanna Patterson from Indiana. She showed a very high motor, extreme athleticism, always at the rim, blocking a lot of shots, and a not bad outside shot, she never seemed to get tired, and always looked like she was having fun. She can dunk now, but doesn't know it. Her match ups with Judea Watkins were classic, Watkins bested her, Patterson was a quality defender--but Watkins was a bit too shifty in traffic. Ayanna is already getting countless major D-1 offers, and must be careful which one she chooses, as she could end up topping out at 6-5 in height. Her college success will be determined by what position(s) at which they play her... My number 3 player was 6-1 2023 Sahnya Jah, a DMV girl from Virginia. Another high motor player, with extreme athleticism, and always at the rim. Has a well developed knack for getting to the basket and finishing with either hand in traffic. When I saw her last month at the Howard University tournament she couldn't shoot a lick, OR dribble, and was shooting around 50% from the free-throw line. But Saturday I saw a much better handle, three-point shots, and mid-range jump shots. Runs the court like a deer, and plays hard all the time. She couldn't keep up with Watkins and Patterson, but has a really bright future, especially if she gets up to 6-2/6-3 for college. My number 4 player was 6-0 2023 Sammie Wagner from Texas. Multi-talented, which was obvious, a very good passer (especially in traffic), with nice handles. A talker, on-and-off the court, which seemed like it kept her hyped. Saw her shoot at least 10 threes throughout the showcase, and didn't see her make any. I'd love to see her shoot the mid-range shot and get to the basket. I'm sure she'd be very successful at it. I'm sure she'll end up as a 1/2 in high school. I need to see her check somebody before I anoint her as one-of-the ones. I thought that she was BSing a bit on Saturday, but the girl CAN play. My number 5 player was 6-0 2024 (6th-grader!) Kendall Dudley, a DMV girl from Virginia. Her mother is a high-school coach, and obviously her mother has her training against older high-school girls. Kendall played Saturday with a certain poise, like nothing could rattle her. She wasn't afraid to go to the rack on anyone. Lanky, long, rangy, with a wing player's body right now. Very versatile right now, a good rebounder, and defender of 1's/2's, and 3's, sliding effectively from side-to-side in this showcase. Likes to get to the basket in traffic, would love to see her mid-range and three-point shooting games. One of my colleagues says he expects her to end up better than USA Basketball Team tryout contender Angel Reese, I agree, especially for her being a 6th-grader! One to watch closely. My number 6 player was 6-0 2023 Qadence Samuels, a DMV girl from Maryland. This girl showed me a lot of athleticism, a lot of versatility, and ran the court very well at both ends of the court. What impressed me the most is that she showed a nice mid-range game. What position will she be placed at in high school? And for high-school level club ball? Both will determine the types of colleges who recruit her. A note--of the approximately 65 girls in the showcase, I saw about 30 who showed me something. I wrote up 10. I saw about 10 who were really regular-they'll start eventually on their high-school teams, but most outside of my top 15 will not go major D-1... But what difference does it make, as long as each one of the 65 get out of their parents's house and go to college for free? Another note--what was amusing to me was watching club coaches openly scheme to steal players from other club teams, and school coaches openly scheme to get players to go to THEIR high schools. I'm certain the IH would have been aghast. Now for some guards and a post. My number 7 player was 5-7 2023 Kymora Johnson, a DMV girl from Virginia. This girl was a slick penetrator, with a crafty assist game, and was a vert good shooter out to three-point range. One thing she did really annoyed me, her habit of dribbling left/right instead of downhill to the basket (she had no problems against lesser defenders). She was a willing defender, but I wish she rebounded more. As a high quality point-guard, she'll need to get in better shape to do the required running around for high-school ball. On Saturday she seemed to get tired too quickly. She ran well, but expended so much energy on offense that I felt her defense suffered a little bit. My number 8 player was 5-1 2022 Ny'Ceara Pryor, a DMV girl from Maryland. Despite her small stature at 5-1, she showed absolutely no fear amongst the giants, penetrating at will in traffic, showed a very competent outside shooting touch, and was a slick passer. I can't wait to see her in high school. My number 9 player was 5-8 2023 Makaela Quimby, a DMV girl from Maryland. To my surprise, this girl rebounded extremely well for her height and was very physical. She shot the ball very well, and most importantly, seemed to know the difference between a good shot and a bad one. Very impressive to me for a little girl. My number 10 player was 5-4 2023 Zakiya Stephenson from Virginia Beach. This girl nice handles, relentless at getting to the basket and ran around pretty good... So, these players were my top ten of the showcase. The talent across the board was most likely the best and most intense I've ever seen at the Rites of Passage showcase. Lisa-Lisa should be proud! Of note--6 of my top 10 players were from the DMV. So obviously, as usual, the DMV girls were able to more than hold their own on a national level. Of the 65 or so girls, Kendall Dudley and Ny'Ceara Pryor may have been the most interesting to watch hoop. I welcome all feedback. You can contact me at nicholsj085@gmail.com. Until next year, HOLLA! Much respect to the IH. And R.I.P. Jerry Kelly, who along with me had the first showcase in the DMV back in 2001.